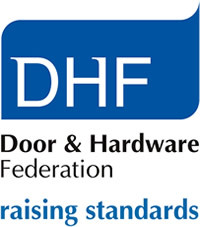 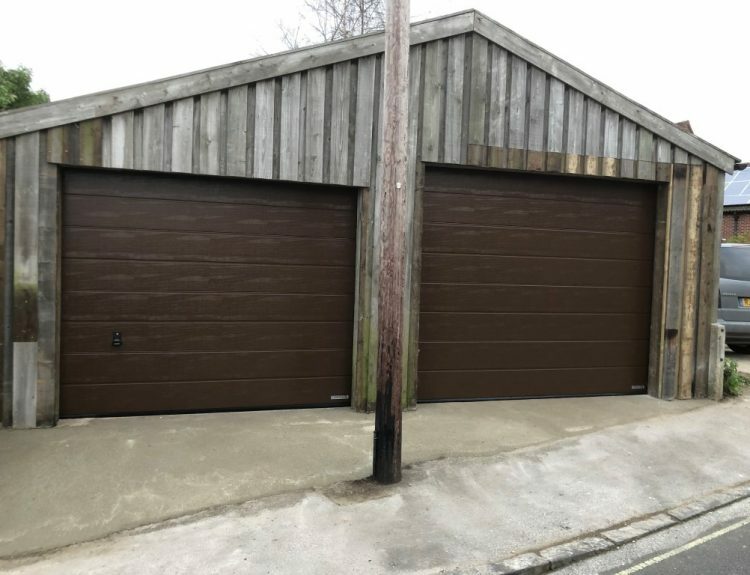 This is a recent 2 into 1 garage door conversion we recently carried out in Marnhull in Dorset. 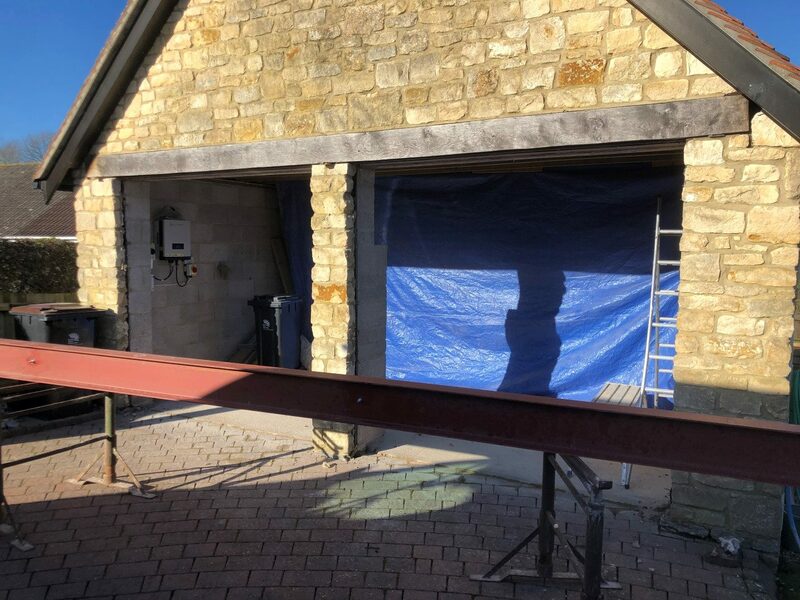 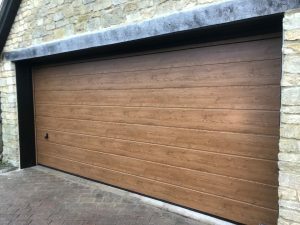 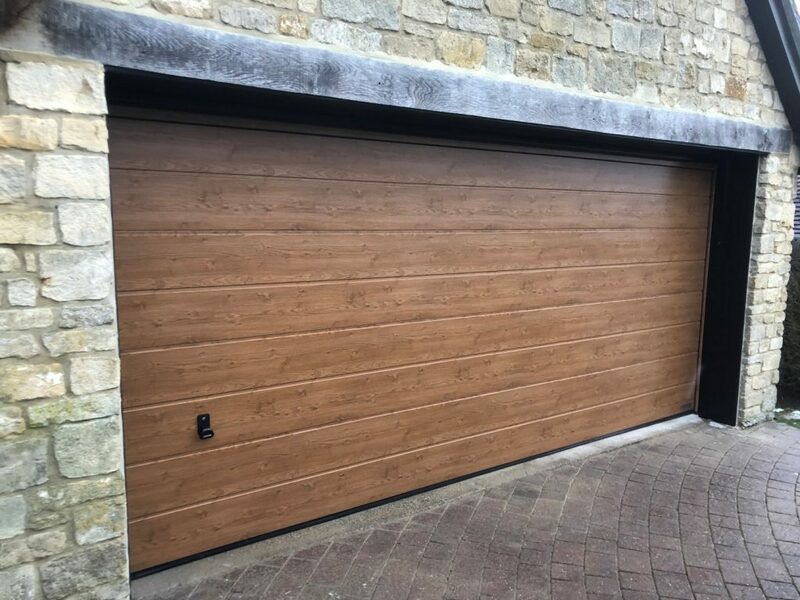 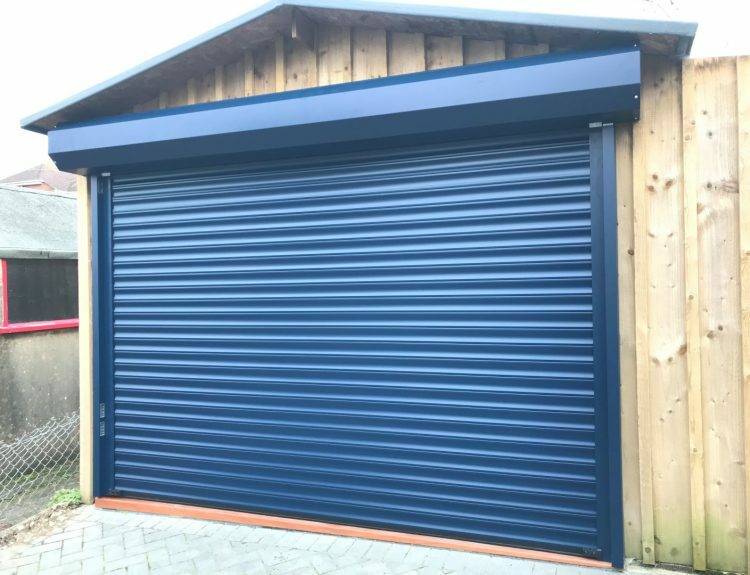 We installed a Garador Linear Medium Premium insulated sectional garage door in maintenance free Decograin Winchester Oak. 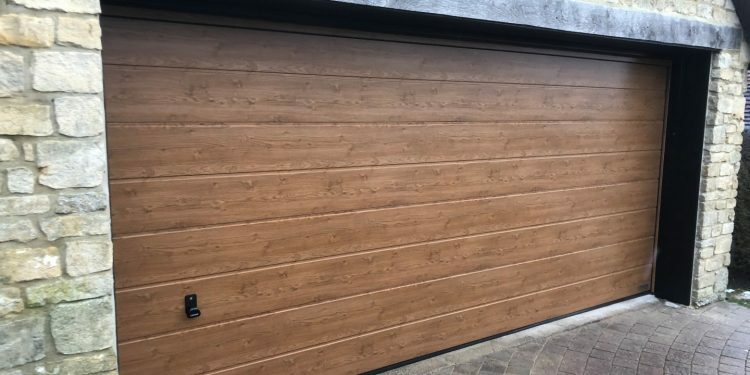 We also automated the garage door using a powerful, 1000n Garamatic 20 operator.